SSouth Africa is an endless outdoor playground. From skydiving to walking safaris, hot air ballooning to windsurfing, treetop zip lining to river rafting – there’s no shortage of raw adventures and adrenaline-pumping moments. 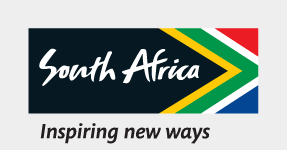 To celebrate 25 years of democracy in South Africa, on 27 April 2019, Freedom Day, South African Tourism is hosting their second InstaMeet in Arniston, Western Cape. As the 5th most Instagrammable country in the world, the #InstaMeetSouthAfrica will be showcasing 25 Instagrammable locations across all provinces. These places range from iconic Heritage Sites to picturesque locations. The Instameet will take place in Arniston, a seaside settlement on the coast of the Overberg region of South Africa, close to Cape Agulhas, which is the southernmost tip of Africa. Top local and international Instagrammers will be coming together in this small town, to meet and exchange ideas while capturing breathtaking images and footage. If you would like to join us, please ensure that your accommodation is booked soon so you don’t miss out! Locations:Waenhuiskrans Caves, Arniston Dunes, Kassiesbaai Fishing Village, De Mond Nature Reserve, Willeen’s Arts & Crafts, Sterna Hiking trail, Whale watching, Rasperpunt hiking trail. The Northern Cape is remote, vast and an unspoilt area of the country. The beautiful spring flower spectacle that transforms a semi-desert landscape, the mighty Augrabies and the Kgalagadi Transfrontier Park, famous for its lions, are all worth exploring for the perfect sho’t Left. All you need to do is step out of your front door and we’ll guarantee that you’ll find an adventure around every corner. Here are some of your province’s gems, from Tsitsikamma to Clarens, you will find your romantic retreat is just a short drive away.